Subtle starburst shimmers across the veneered gloss of the Arlington bedside table from Robert Langford. The deep, dramatic tones of chocolate oak create a luxurious finish. The stylish bedside table embellished with on-trend metallic brass detailing, creates a contrast alongside the deep, dramatic wood effect. Extend the art deco look throughout your bedroom by styling with dramatic blacks and browns and continuing the metallic detailing. 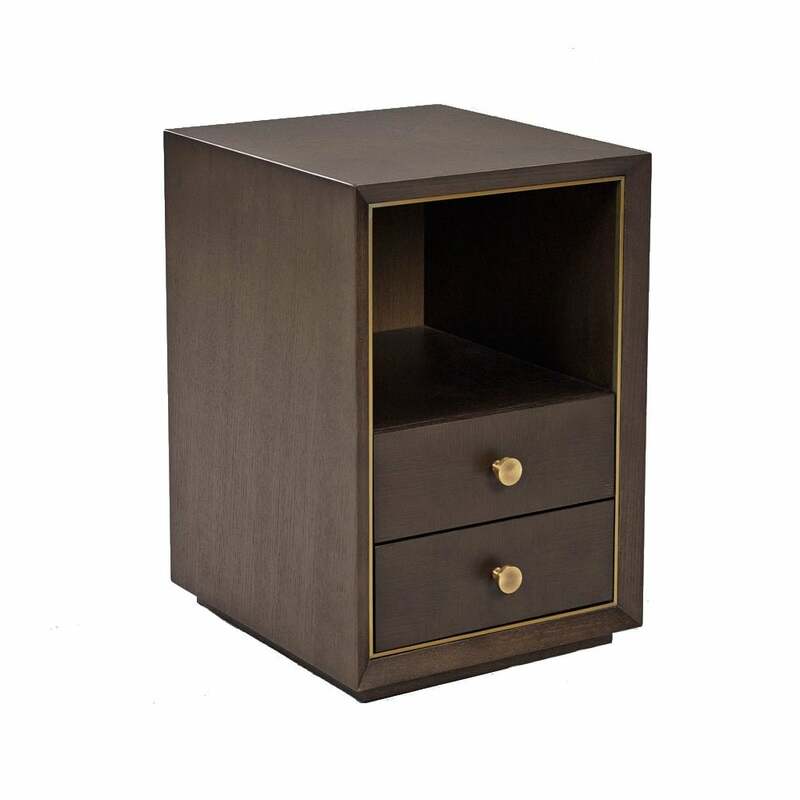 The narrow design of the Arlington offers a practical yet stylish bedside storage solution, particularly for narrow spaces. Available in a choice of finishes and sizes.